+ A SYMPHONIC BLEND of relaxing, yet invigorating essential oils. + A FAN FAVORITE that smells of lavender and eucalyptus. + AROMATICS CENTER around lavender, eucalyptus, and tea tree. 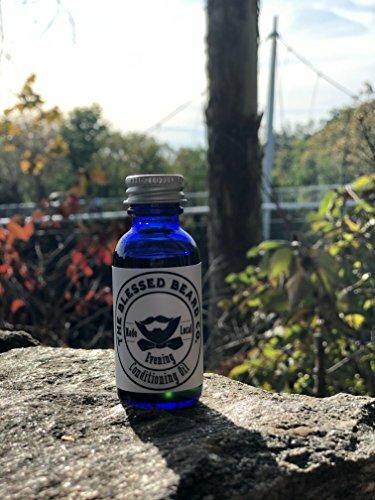 + HANDMADE in beautiful Greenville, SC The Blessed Beard all natural conditioning oils nourish the skin with to reduce the itch, soften hair, & keep the beard flake free!